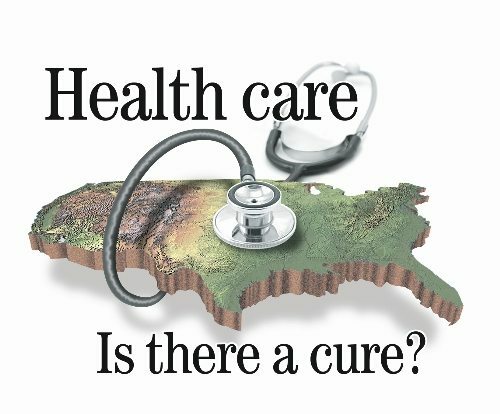 Everyone who is a policymaker on healthcare has an opinion on why our costs for healthcare are so high in the USA. One of the most obvious reasons for high healthcare costs in the USA is that we moved away from primary care years ago and turned them into the 10 minute or less doctor and the walk in clinic. Doctors used to spend the time to diagnose, and treat you as they saw fit. If something did not seem right, they would draw blood and take do the work to help you figure out the problem. While medical primary care was far from perfect, it kept most people out of specialists offices. That same doctor would also visit you in the hospital so you had the person who knew you well checking in on your personally. In todays environment, once you leave the primary care doctors office for any perceived medical problem, you went from specialist to specialist, test to test and care became much less personalized. Your doctor would send you to the hospital and get reports from hospitalists who would charge every time they looked at your chart, even though they did little or nothing to help you with your healthcare problem. This is one of the main drivers of high healthcare costs. The other problem is the lack of holistically looking at the patient resulting in too many physicians who look at you from a point of view regarding the part or system of the body they specialize in, instead of looking at the body the way it functions; with integrated systems. This has resulted in a doctor and a pill for each symptom and a lack of understanding or personalizing the care to what is uniquely wrong with you. Costs explode from there as our overly complicated healthcare diagnostic methods often result in negative tests, but yet every treatment comes in a pill. Healthcare providers are considered alternative when they do functional holistic medicine and are not usually covered while those who have a pill for everything are dispensing away and driving up costs, especially when pills collide and land you in the hospital. If this sounds backwards to you, it is. Complexity drives costs. When people are ill and desperate, they are exposed to hospitalizations, chemo, and many treatments that can harm as well as maybe heal. This has made the USA and its residents the largest consumers of pills in the world, while we are far from the healthiest. The lack of holistic care in the musculoskeletal realm is a huge waste of money as well, resulting in injections for knee pain when the problems are elsewhere but the symptoms are in the knees. Everyone visits the orthopedic for a joint complaint, which makes little sense, since they only look at where you hurt, instead of why. Meanwhile, chiropractors who have assumed the role of primary spine and do primary care of the musculoskeletal system should be the provider of first choice and first visit, but often are not. Many musculoskeletal and seemingly organic symptoms such as stomach pain may actually be related, however, by looking at the body as a disjointed affair, and not holistically, it drives additional tests, additional drugs, and rehabilitation regimens that cannot possibly work. This causes high healthcare costs. Another author suggested that administrative costs are a huge driver of costs as well. They are correct. Doctors maintain extra staff to call insurance carriers about precerts for tests and to find out why valid claims for valid and medically necessary care was denied. Many healthcare providers including hospitals use billing services that often have the wrong insurance information and send out bills even if they bill incorrectly. They mistakenly leave it up to the patient to figure it out, but they are very good at sending us to collection for more annoying phone calls. Billing companies are entrepreneurial as are hospitals and doctors offices. Doctors order tests and procedure sand have no idea of what they cost because the billing companies do the dirty work. Most doctors have no idea what their tests costs, what their recommended drugs cost and are insulated from costs until either a patient questions them directly or they get ill themselves. This drives high healthcare costs as well. Moving toward a Medicare for all system for those of us over 50 years old would be a smart alternative. The efforts to privatize have exacerbated the problems with cost and confusion, since most insurers are the problem with costs, and know how to manipulate private industries such as hospitals and private practices to force them to consolidate, which results in our paying more, while they can now improve earnings by charging more each year which increases the percentage they earn with each claim. This drives high healthcare costs too. It is estimated that Medicare gets an average 73 percent discount on the cost of hospitalization. It is unfortunate that they do not have the same abilities to negotiate drug prices which is a major flaw in the part of Medicare that covers drugs.